Voeders Huys is a Belgian family business that owns three production sites in Bruges and France. Each site produces a different type of feed to avoid contamination and increase specialization. In order to deliver high-quality animal feed, Voeders Huys must be able to rely on a high-performance automation system – a system that integrates the entire supply chain and is compatible with both manufacturing and business systems. To meet ever-changing clients’ demands, Voeders Huys contacted INDEFF to initiate charting the entire production process, a requirement for true operational excellence. By definition, the Food & Beverage industry has to abide by exceptionally high-quality standards. But that doesn’t mean Voeders Huys cannot make formula management a core strength. The company supplemented their standard GMP+ certificate with a custom Hazard Analysis and Critical Control Points plan to do just that. In order to meet their own strict demands, Voeders Huys counted on INDEFF’s MES solution, based on Wonderware’s InBatch software. 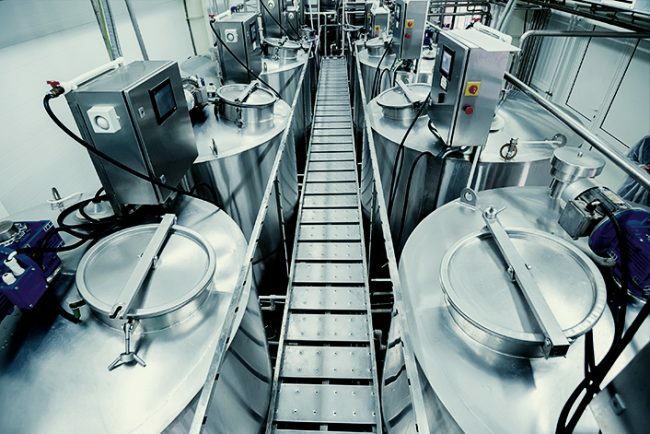 INDEFF implemented formula preparation procedures that eliminate the need for operators to intervene manually and allow rapid switches between products. Now, Voeders Huys is able to change production based on feed values and cost price. Finally, every product throughout the supply chain is recorded and, thus, 100% traceable. INDEFF’s automation team executed a complete analysis of goals, challenges and needs before the design phase. The result? Flexible modules that allow Voeders Huys to produce animal feed more efficiently. Batch and quality management are essential on the way to operational excellence. What ultimately made Voeders Huys reach their goal, however, was an increased focus on flow. Transforming the automated production into systems with one uniform user interface made production dramatically more efficient. Additionally, the modular flexibility of INDEFF’s solution allowed for easy integration in all three production sites. Technical skills, flexibility, and transparency increase productivity throughout Voeders Huys.